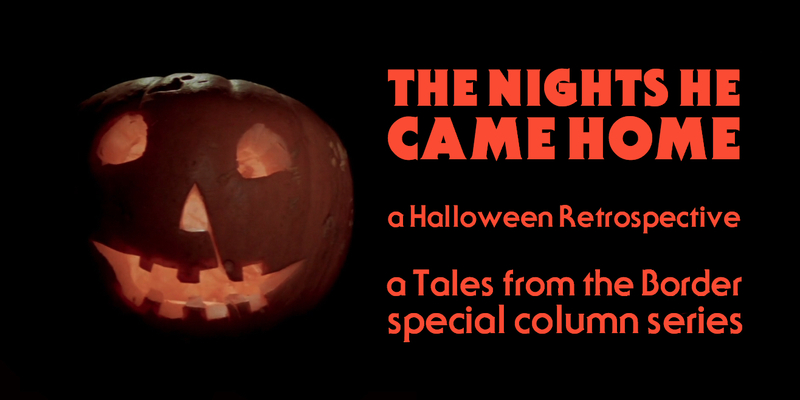 Welcome to the sixth part of The Nights He Came Home – A Halloween Retrospective! Over the course of October this new special column, in which I revisit all of the original Halloween films in anticipation of that most spooky season, will be running every Monday and Thursday. Then, beginning on the 26th of October, daily posts with the unifying theme of the horror genre will be posted, leading up to an article on my choice of the 10 greatest horror films ever made. Today we take a look at the producer’s cut of Halloween: The Curse of Michael Myers (1995), which examines the “untold” origins of Michael Myers. The producer’s cut of The Curse of Michael Myers significantly improves on almost every element of Halloween 5 (1989); the characters are much more complex and likeable, Michael’s costume and mask have been improved upon, the direction is much more well executed. In these elements, Curse ranks among the better Halloween films. 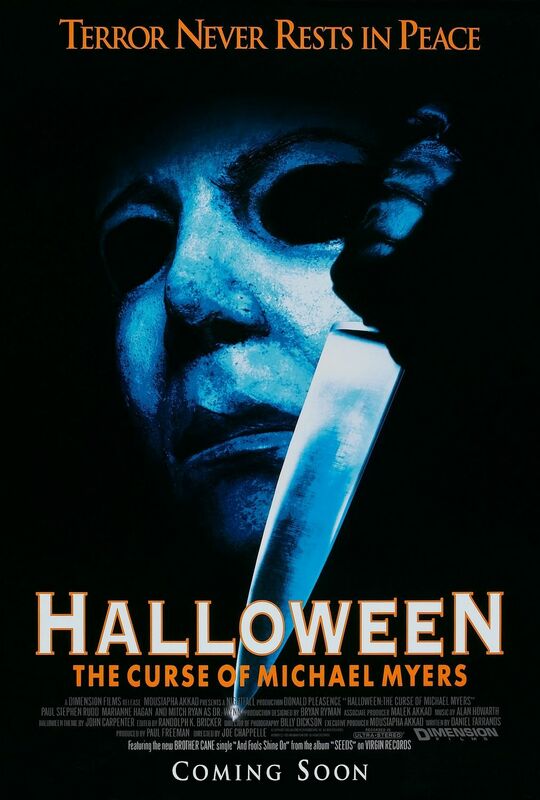 Unfortunately, it is let down by its attempts at “explaining” Michael’s origins, his rage, and providing a paganistic mythology that connects the disparities between all of the Halloween films. After Jamie Lloyd (J. C. Brandy) escapes from a bizarre cult with her newborn son, she is hunted by Michael Myers (George P. Wilbur). She eventually makes her way back to Haddonfield, where Dr. Loomis (Donald Pleasence) is once again on the case. Relatives of Laurie Strode’s adopted family are now living in the Myers house, and Kara (Marianne Hagan) and her son Danny (Devin Gardner), who is starting to see bizarre visions in which a man in black tells him to “kill for him,” fall in the crosshairs of Michael. 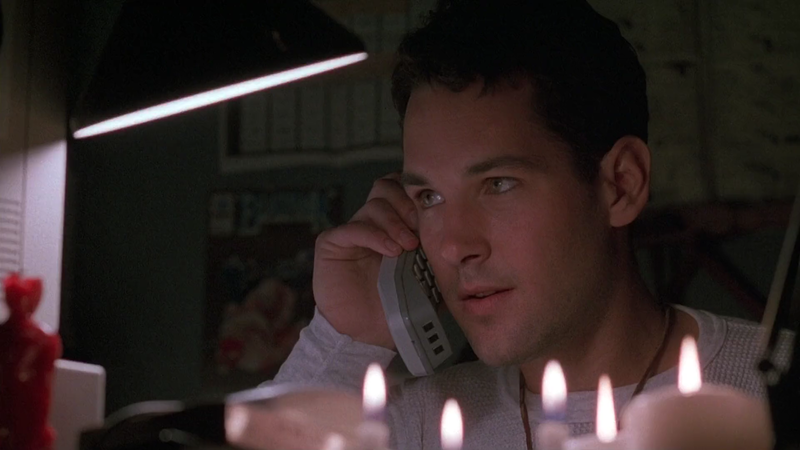 Tommy Doyle (Paul Rudd), the child who Laurie Strode babysat in the original film, lives across the street and is something of a conspiracy theorist regarding Michael. Together these characters must come together to stop Michael and save Jamie’s child. Halloween: The Curse of Michael Myers sees the major debut of Paul Rudd, a.k.a. the Ant Man. Whilst Curse never goes for the scares that the series is known for, and actually fails to be scary most of the time, its characters are so much more interesting than those of Halloween 5. Particularly Kara and Tommy stand out as interesting characters. I would have liked to see more of them had the film’s plot been better handled. Paul Rudd, in what would be his first major starring role, is surprisingly very serious, almost to the detriment of the film. I guess because of his future as a comedy actor and a Marvel superhero I expected him to break into dance any second he’s on screen, but there’s not a shred of comedy to be found in his character. Rudd does the job, but it’s so early on in his career that he hasn’t quite got the acting chops yet. Marianne Hagan is enjoyable as Kara and provides some decent chemistry with Rudd. Donald Pleasence is back for his final performance as Dr. Loomis before his untimely passing. It’s a pleasure seeing a more understated performance from him, one that isn’t as hammy as his performances in Halloween 4 (1988) and 5. Whilst the ending feels decidedly against the character of Dr. Loomis, I think this rates as one of his better performances as the character. It’s only fitting that the film is dedicated to his memory. Halloween won’t be quite the same without Pleasence’s presence. The pagan ritual scenes are interesting, if misplaced in a Halloween film. What ultimately prevents the film from being a superior sequel is it’s attempts at explaining Michael Myers’ rage and violence. I find these explanations to be entirely unneeded. Michael is at his best when he’s nothing but psychotic, pure, and unstoppable evil. Here, like in Halloween 5, the filmmakers try and make him somewhat more sympathetic, which just feels completely unnecessary. Add into that the exploration of this Rune of Thorn nonsense and it really does spoil the film. It just feels so unlike the original film and John Carpenter’s intentions. Oh well. Whilst the pagan ritual scenes are well shot and visually interesting, they just feel out of place here. Curse is at its best when Myers is stalking and killing his victims. When it’s not doing this, Curse does not feel like a Halloween film. The film would make $15 million on a budget of $5 million, and was the first film in the series to beat the opening weekend gross of Halloween II (1981). It is critically the lowest scoring Halloween film on Rotten Tomatoes, where it ranks at a 6%. Curse is a troubling film because it’s a return to logical storytelling and characters with personality for the series, despite the terrible plot and attempts to explain Michael Myers. Whilst it’s a better film than Halloween 5, it isn’t better by much. Next time on The Nights He Came Home, the timeline of the series is reset to allow for the return of Jamie Lee Curtis to the role of Laurie Strode! See you next Thursday, when we’ll talk about Halloween H20: 20 Years Later (1988)!